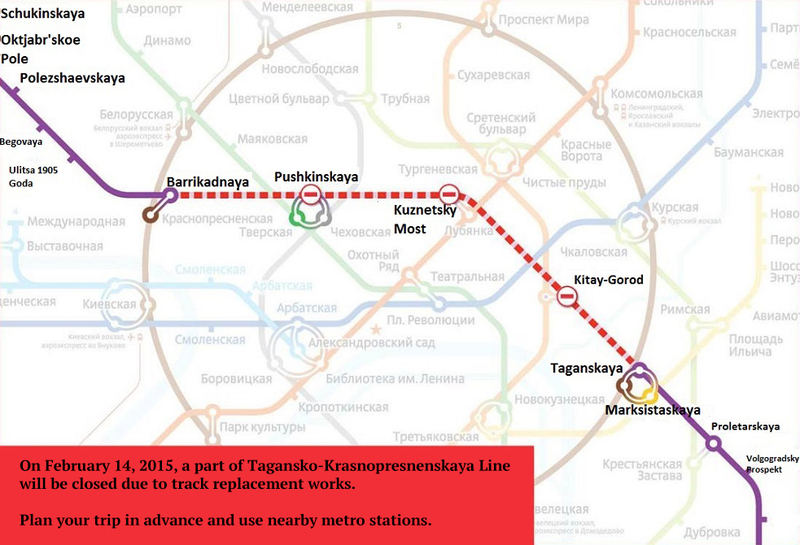 On Saturday, February 14, 2015, Pushkinskaya, Kuznetsky Most and Kitay-Gorod stations of Tagansko-Krasnopresnenskaya (violet) line will be closed throughout the day due to track replacement works. Kitay-Gorod station will work only at Kalugsko-Rigskaya line. 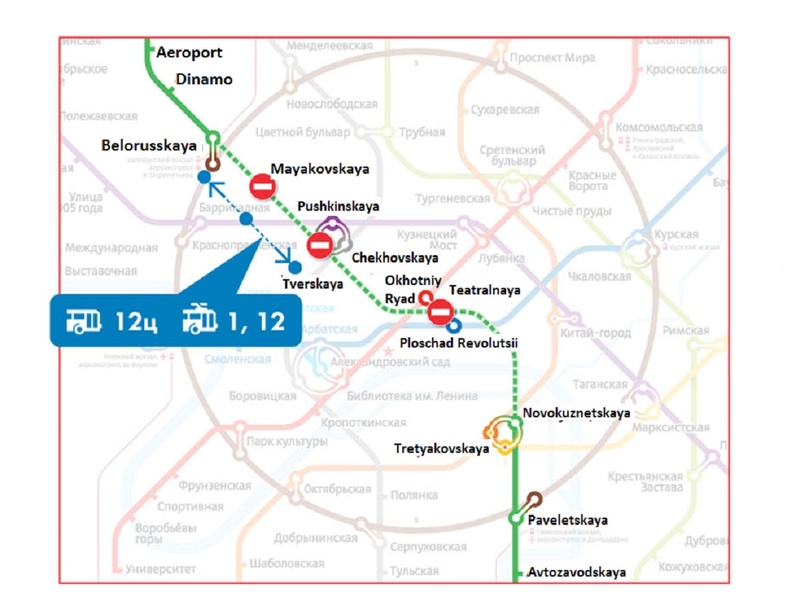 Trains of Tagansko-Krasnopresnensky line will go only from Planernaya to Barrikadnaya station and from Taganskaya to Zhulebino station. 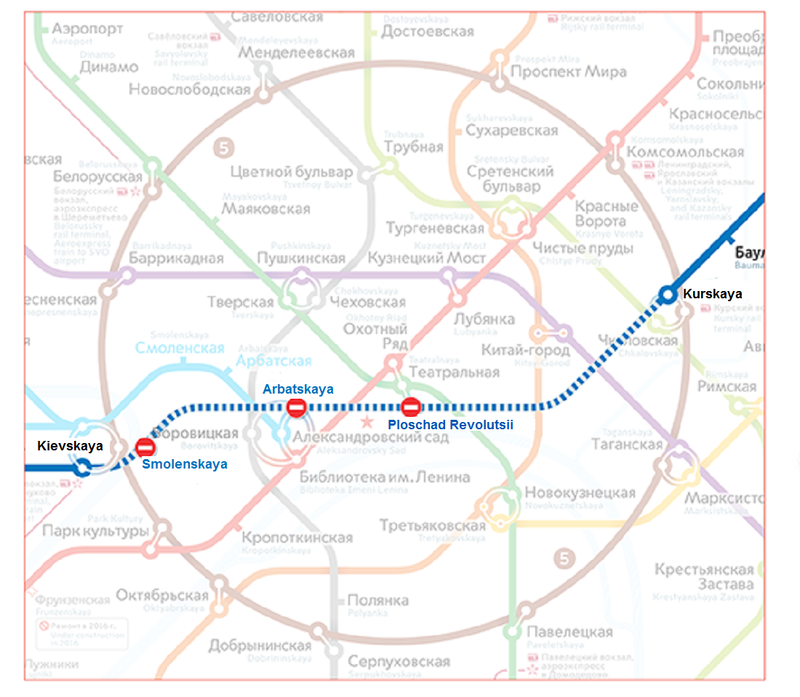 Transitions at Barrikadnaya and Taganskaya stations will work in the usual mode. Work of the closed stations will be resumed on Sunday February 15, 2015 at 5.30 AM. Plan your trip in advance and use nearby metro stations.